Mumbai: A "shocking" e-mail was received by a number of people here yesterday — revealing that Indian intelligence has released a conversation between Indian skipper Mahendra Singh Dhoni and a bookie. 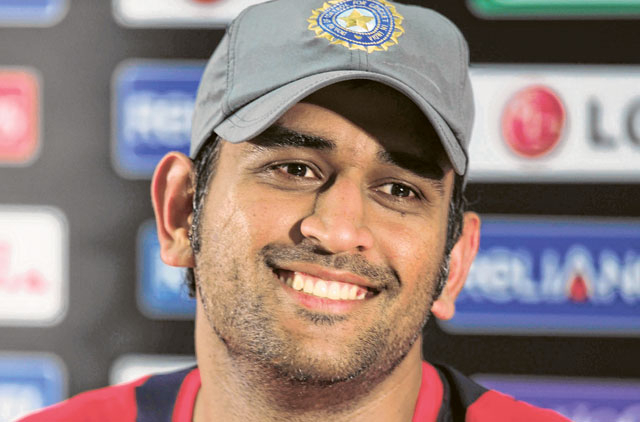 The e-mail said that Dhoni had passed on crucial information about the finals against Sri Lanka. It revealed that the finals, right from the first to the last ball has been fixed. It even revealed details of the match like Sri Lanka will bat first and collapse to 75 for 4 and then go on to make 270 runs. According to the conversation, Virender Sehwag will get out in the first over and Sachin Tendulkar will be out for 98. In the end Sri Lanka will win by one run. Meanwhile the news of the match being fixed also spread through SMS saying WikiLeaks has got full details of the Sri Lanka-India finals and on the plans to fix the final. It revealed that Rs2.5 billion (Dh204 million) has been paid to Team India players to lose the match as well as perform according to instructions from the bookies. To listen to the conversation they have asked readers of the e-mail to click on a link. People who clicked on it heard the legendary singer Mohammad Rafi's famous song April Fool banaaya, toh thumko gussa aaya. (I made you April fool and you got angry), from the movie April Fool. It took some time for readers to realise that it was a prank.